Sunday shot. Doing a test run on Leica Digilux 2. Lovely camera with crisp details and perfect natural colors. Shot in jpg and no PP. Interesting! 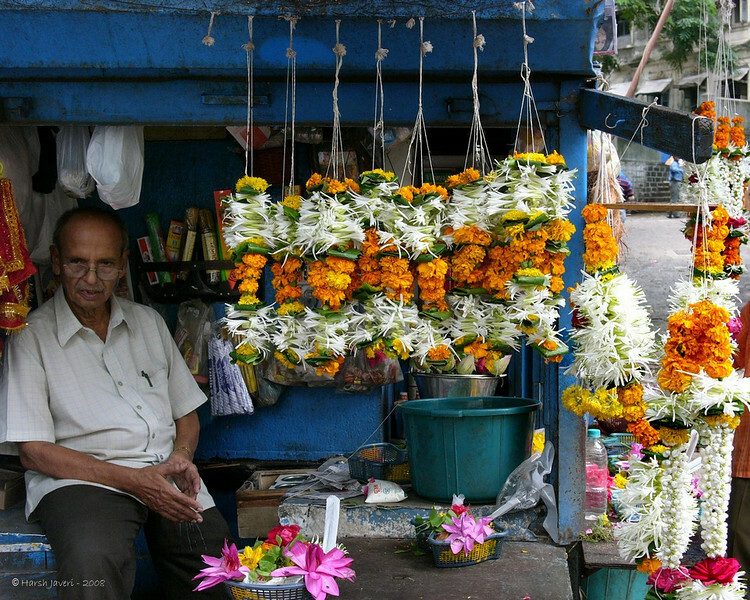 I never knew you had garlands made from flowers for offering att he temples! I remember seeing this stall, it's at the road level, right? It's always full with colourful flowers and garlands! I got the itch to pack it all in and go to India on my next hollidays! They are all wonderful shots! Thanks for sharing. The colours are really beautiful. Lovely colors...interesting expression on the guy.. as if asking what are you up to????? ?